There are several different economic news factors in the US to affect all the pairs consisting of greenback. For NZDUSD it seems that this pair is willing to trade in lower ranges for today. 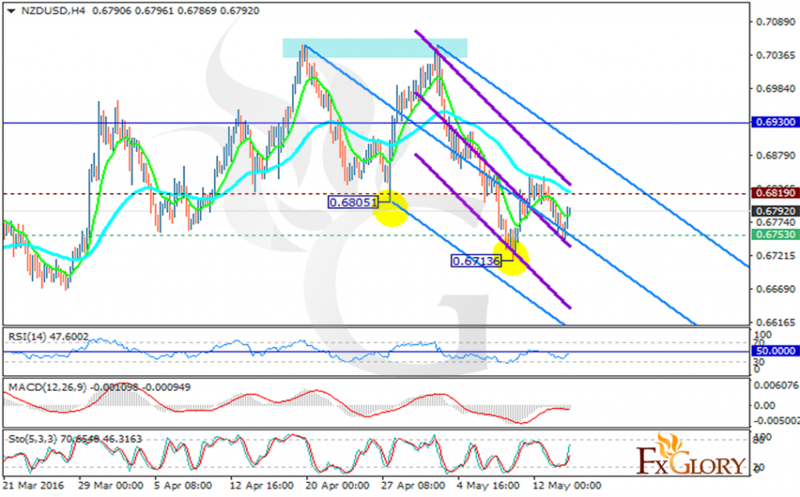 The support lies at 0.67530 with resistance at 0.68190 which both lines are below the monthly pivot point at 0.69300. Both EMA of 10 and 50 are moving with bearish bias plus the EMA of 10 is lower than EMA 50 which shows the current price decline. The RSI is staying in neutral zone but the MACD indicator is in negative territory and the stochastic is showing price growth. There is no clear signal for traders to decide on this pair so it might be a good idea to wait for a better chart setting. However the support level breakthrough can pave the way for 0.6710 and the resistance breakout can push the pair towards 0.6830.